Before you put your house on the market, it is crucial to clean the tile and grout surfaces that will catch the eye of prospective buyers. Completing this one simple task will give you an edge over many other available properties. The fact is that too many home sellers overlook the importance that buyers place on tile floors, counters, tubs, showers and other surfaces. If left in poor condition, these can be deal breakers. Make sure that your tile surfaces have been professionally cleaned before opening your doors to prospects. 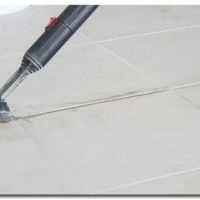 Get a professional tile cleaning: No one likes the look of moldy, dirty or stained tile. Hiring a professional ensures that important surfaces are cleaned, disinfected and looking their best. Secure loose tiles: To ensure your prospective buyers feel sure footing on every step of your floors, talk to a grout and tile professional about securing loose tiles. Repair or replace damaged tile: If you notice there are any cracks or chips in your tile, hire a professional to repair or replace the problem areas. A professional can find the perfect match to your existing flooring. Upgrade to tile: If you don’t already have tile in your home, this is a great time to consider a new installation. This can give your home added appeal and allow you to raise the asking price. When you need to have tile replaced, cleaned, repaired or installed, contact The Grout Medic to find a reputable tile and grout cleaning professional in your area. Once your home is ready to go on the market, you should contact The Neir Team for guidance from Denver real estate experts.